Girrrl Stop! : Girrrl Don't Stop the Shift! During a recent vacation with some girlfriends we enjoyed a half day at the spa. The name of spa was Metamorphosis Day Spa. During the spa time we enjoyed time in the sauna which was extremely hot and relaxing. I closed my eyes and my friends begin to joke around asking what I was doing and I answered them truthfully: I'm meditating on God's Word. Still in a jovial tone they asked, "Well give us a Word!" As the Lord was speaking to me I shared with them that 2015 was the year of Metamorphosis! Metamorphosis is a change of the form or nature of a thing or person into a completely different one by natural or supernatural means. I believe for many of us God used 2015 as a year of development and training, hiding us in our cocoon while he proceeded to transform us by the renewing of our minds! So all of the trials, struggles, hardships, heartaches, heartbreaks, headaches, disappointments, victories and wins were all for our development. God is bringing us into a new season with new challenges, new tests, and new blessings! We had to go through it to be ready for the place where God is bringing us. 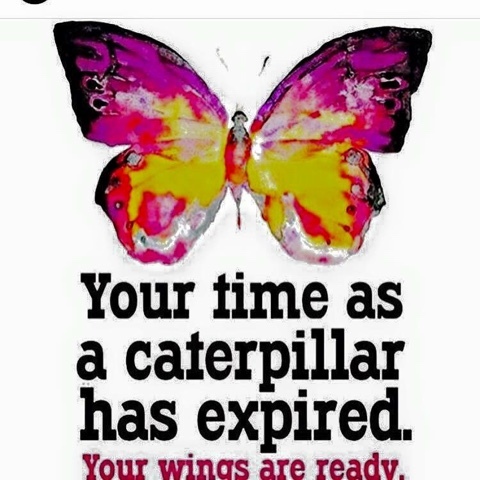 So don't fret the process because it's all apart of the supernatural metamorphosis that God is performing in your life! Girrrl DON'T Stop the SHIFT!!! Ok, girrrl! I'm typeless.You don't even know how God used you, just now. HALLELUJAH!